We anticipate that hikers will start from Dunraven Pass at 8:00 AM. Hikers should return to the vans at 12:00 PM, from there we will go to a picnic area for lunch. All hikers must therefore turn around and head for the vans no later than 10:45. Because of these strict time limitations, there will probably not be sufficient time to examine the rocks in as much detail as one would hope. The trip is thus largely a self guided tour. 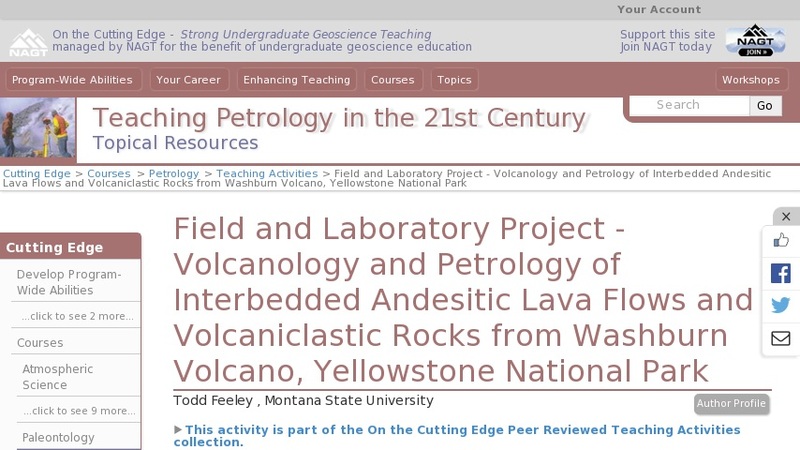 It will, nevertheless, give you an opportunity to examine several rock types associated with calc-alkaline composite cones and provide a spectacular view of the Yellowstone Caldera, weather permitting.